A rFactor2 conversion of Zolee145's rFactor Townsville 400 2012 track. 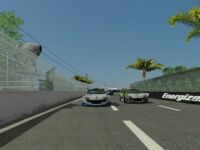 There are currently no setups for Townsville 400 2012 (rFactor2). Add a Setup. Real motocross circuit adapted to play with cars in rFactor. The layout is the same, minus the pit area and have also removed some jumps to improve transit.